Working in the tavern industry becomes less and less of an appeal to me with what at sometimes seems to be a daily pace. One of the great things about working in this industry though is on occasion you meet really amazing people. Some of them have been featured in my past blogs. Yesterday’s in fact! If you wish to read that one you can check it out here IT WORKS! WHAT ARE YOU WAITING FOR? Today I wish to discuss another amazing individual my lovely lady and I have the pleasure of seeing as we do our shows. His name is Jerry Musolf, but he goes by Sonny. He is a really great friend by all standards. Friendly, helpful, always willing to lend a hand or a smile whichever is needed. Sonny also rides a motorcycle when the weather in this state allows. As such, you will often see him wearing a vest with patches of different sorts on it. One such patch on his vest looks like the one above. During one show Sonny had asked me to read a fundraiser announcement for a charity he belongs to. Always happy to help people doing good I did. Fast forward to a few weeks ago and another friend of ours was wearing a sweatshirt from the same organization. That prompted me to inquire as to the what the group was all about. I was told to ask Sonny for all the details. What he shared with me is what I am about to share with you. What influence I have in the world as an author, speaker and the use of this website I try to use for good. One of the causes that always is near and dear to my heart is children. They are innocent victims and often there is not enough support when they need it. If you read my post earlier this month about doing the Warrior Dash to help St. Jude children’s hospital that offers care to sick children and their families. Another area where children suffer, and often alone is child abuse. Especially if the person doing the abusing is a family member or an adult the child trusts. In addition to the terrible physical aspects of child abuse the emotional and psychological effects can be just as or even worse and last a lifetime. What children need is a sense to feel safe. They need a group of adults they can trust. This is where Guardians of the Children come in. Let me begin by sharing their mission statement with you. 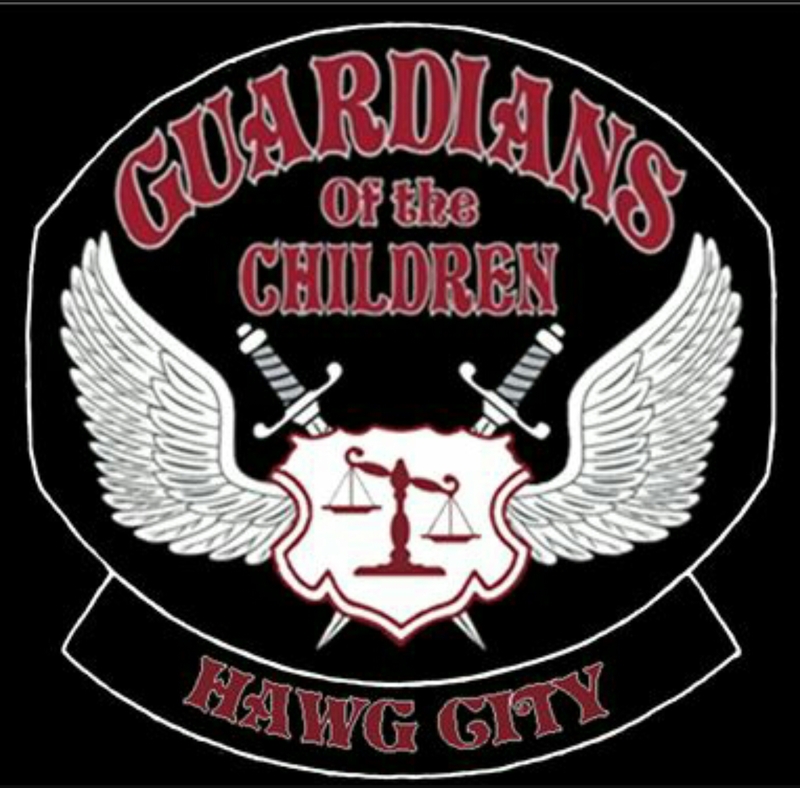 “The mission of Guardians of the Children (GOC) is to recognize and react to child abuse and educate the public to do the same; to serve as advocates to provide strength and stability to families in crisis; and be the answer to the prayer of an abused child or teen for courage, support and protection.” That all sounds good, but what does it actually translate to? I am going to share both items available in the group’s literature as well as personal stories Sonny has told me. The group partners with other child abuse agencies to raise awareness of the prevalence of child abuse. The use donations they receive for birthdays, basic needs such as clothing and hygiene supplies, literature to promote child abuse awareness as well as activities for the kids. The strive to give these children the same opportunities that your own children have, a normal life and a family that loves and cares for their needs. The last line is what really impresses me. This group often becomes the family these children so desperately need. The go to court with the children so they are less afraid. They often supply the children with a teddy bear (one that has been hugged by all the members of the group) to hold when they are alone and feeling scared. Each child also receives their own little vest with a patch that says “Little guardian”. The group also provides safe and fun activities for these children such as Easter egg hunts, fishing trips, roller skating and so much more.